In 2010, HotDogMedia closed its doors when principal Jason Nicholls moved to Italy to run the global marketing communications dept for a solar inverter manufacturer Power-One. This company was a B2B power component manufacturer which found its new solar products had taken it into the B2C realm and from 9th to 2nd in the global marketplace. The new website had to cater for new B2C customers as well as installers, distributors, solar investors and homeowners. On launching the new website, specifically dedicated content were created for each user groups along with improved navigation and sign-posting. 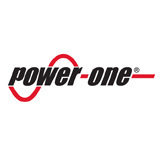 In 2013, Power-One was bought by ABB. This means the original website no longer exists.